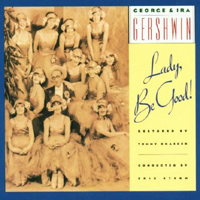 Studio Cast, 1992 (Roxbury/Elektra-Nonesuch) (3 / 5) This recording, like others of the well-intentioned Gershwin releases from Roxbury, fails to recreate the musical comedy spirit that made Lady, Be Good! a touchstone of the Roaring Twenties. Too often, it feels like an academic exercise, busily reconstituting original orchestrations and performing styles. It may be authentic, but it isn’t very enjoyable. 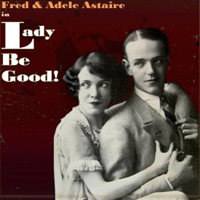 Except for female lead Ann Morrison, most of the cast, especially the male principals, sing everything very squarely and right on the beat. However, John Pizzarelli is charming in emulating the vaudeville looseness of Cliff Edwards from the original cast. And when Jason Alexander arrives near the end of the first act with the title song and some terrible jokes, he offers a welcome burst of energy. As always with this label’s releases, the booklet accompanying the CD is extensive and terrific. — D.W.